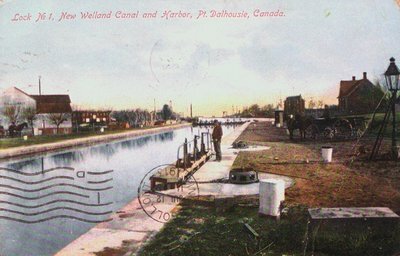 A postcard of Lock 1 on the New Welland Canal (Third) and Harbour, Port Dalhousie, St. Catharines, Ontario. Postmarked July 12, 1913. Published by Stedman Bros., Brantford, Canada. Printed in Germany.